Tuesday’s Treasure – Jasper Carrot and P2 Block 7 finished. This is our treasure, Jasper Carrot. He came to us Christmas Eve 2009 from the most wonderful Apricot Mini Poodle breeder, Jenny ay Joystar Poodles. He has the most loving and kind temperament, just perfect for a family with boys. He is my little quilting companion and is often curled up under my feet while I sew. I cannot imagine our family without him. I finished another P2 block tonight. Two more to go and then the fun of joining them altogether and quilting them. Pets really make a family complete! We love our dog, chooks, geese…. The blocks are looking great! Jasper is very very handsome. There is nothing like a poodle. He's adorable, no wonder you love him. What a sweet little dog! And I really like the blocks! Poodles are such handsome dogs and so intelligent. Your blocks look great. The colours go together really well. Very cute. You are lucky to have a dog with a kind disposition and he is lucky to have you. Sometimes, having a companion while sewing is a necessity. Like when you are talking to yourself, you can say otherwise and no one will be the wiser. I think the colors on these blocks are amazing. They go so well together. I look forward to seeing the blocks put together. Oh yes, Jasper Carrot is adorable. 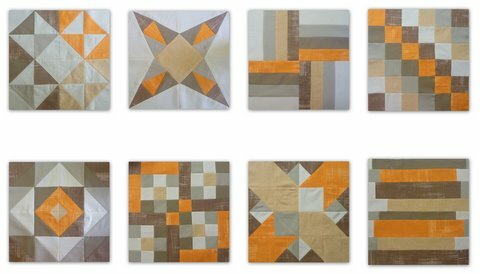 Jasper is lovely and your blocks are so great…. love them….